On July 6th at Austin’s Moody Theater some of country and roots music’s most independent spirits will convene to pay tribute to a musical and cultural pioneer that helped blaze a trail they all travel, Waylon Jennings. Two days after Willie Nelson’s Picnic many in Austin for Willie’s already fantastic event will gather with others to pay tribute to Jennings who died in his sleep in 2002 of diabetic complications. 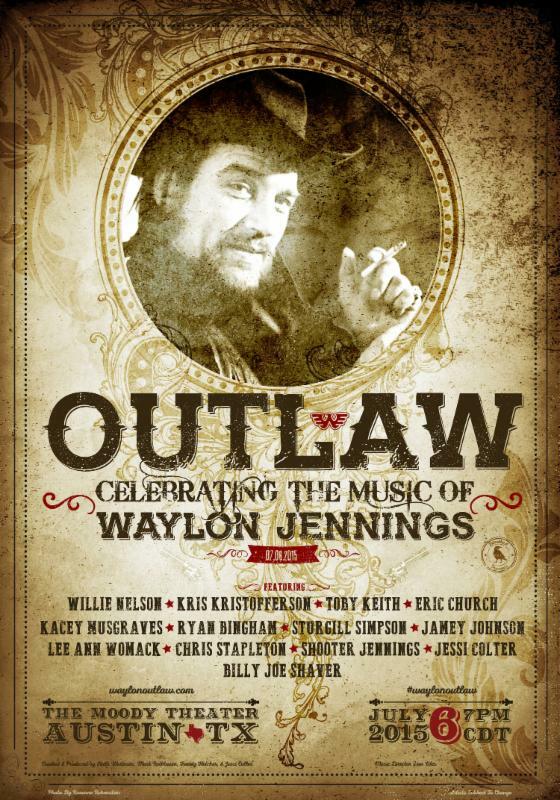 The level of talent makes the ticket prices easier to swallow, $150 to $400, which go on sale at acl-live.com at 10 a.m. on Waylon’s birthday, Monday, June 15. Ticket buyers also have an opportunity to purchase tickets to an exclusive after-party, proceeds which benefit “the United Way and earmarked to help Central Texas residents most affected by the recent Memorial Day floods,” according to a statement on the ACL Live website.